During a HomeTech Home Inspection, our Inspectors might use some terms that you’re not familiar with in terms of a home. 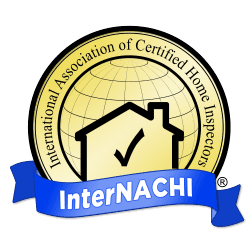 Through InterNACHI’s database, we complied some common terms used in a home inspection report or used to describe common issues seen during an inspection. Use this list as a resource to better understand your full inspection report or as a guide prior to a inspection. Keep in mind, that you’re always welcome to come along with our team during an inspection or ask questions after. For example, bubbling can be used to describe glazing, open or closed pockets in a sealant caused by the release, production or expansion of gasses. Or spalling is the chipping and flaking of concrete, bricks and other masonry where improper drainage and venting and freeze/thaw cycling exists. This list of terms covers most of the common household dangers likely to be encountered by InterNACHI inspectors. 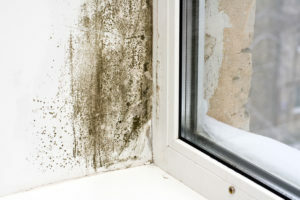 algae: microorganisms that may grow to colonies in damp environments, including certain rooftops. They can discolor shingles; often described as fungus. alligatoring: a condition of paint or aged asphalt brought about by the loss of volatile oils, and the oxidation caused by solar radiation; causes a coarse, “checking” pattern characterized by slipping of the new paint coating over the old coating to the extent that the old coating can be seen through the fissures. “Alligatoring” produces a pattern of cracks resembling an alligator hide, and is ultimately the result of the limited tolerance of paint or asphalt to thermal expansion and contraction. asbestos: a common form of magnesium silicate which was commonly used in various construction products because of its stability and resistance to fire. Exposure to asbestos is caused by inhaling loose asbestos fibers, is associated with various forms of lung disease. Though fire-resistant, its extremely fine fibers are easily inhaled, and exposure to them over a period of years has been linked to cancers of the lung and the lung-cavity lining, and to asbestosis, a severe lung impairment. Asbestos is a naturally occurring mineral fiber sometimes found in older homes. It is hazardous to your health when a possibility exists of exposure to inhalable fibers. Homeowners should be alert for friable (readily crumbled or brittle) asbestos, and always seek professional advice in dealing with it. mushroom: an unacceptable occurrence when the top of a caisson concrete pier spreads out and hardens to become wider than the foundation’s wall thickness. scrap out: the removal of all drywall material and debris after the home is “hung out” (installed) with drywall. veining: in roofing, the characteristic lines or “stretch marks” which develop during the aging process of soft bitumens.